Dr Sreeradha Datta is Senior Fellow, Vivekananda International Foundation. Formerly director, Maulana Abul Kalam Azad Institute of Asian Studies, Kolkata during September 2011-August 2017. Her research focus continues to be on regional organisations, and issues concerning borders, migrations, waters across the South Asian and South East Asian neighborhood. Her publications include six books and monographs, namely, Caretaking Democracy: Political Process in Bangladesh, 2006-08, Bangladesh: A Fragile Democracy, The Northeast Complexities and its Determinants, including co- edited volumes on Changing Security Dynamics in South East Asia, Political Economy of India’s North East Borders and two monographs; The Changing Narrative: India’s Borders with Bangladesh and Myanmar; Drug Menace in South Asia: Pakistan connections. 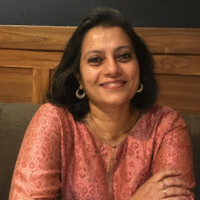 These apart, she has published over 100 articles in journals, edited volumes, newspapers, and academic websites including chapter in Reinvigorating BIMSTEC: An Industry Vision for the next Decade (FICCI).